Given that in most of the landing pages for 99% of visitors do not get the desired effect, remarketing or retargeting is a powerful tool to recapture our users and improve conversion rates at relatively low cost. Remarketing campaigns that have come to double the conversion rate conversions generating between 40% and 50% cheaper. However, the remarketing is not a foolproof solution, so it requires effort on our part, and that is to get the most we plan and optimize campaigns accordingly. Here are 8 Tips For Creating Effective Remarketing Campaigns. These tips will help you to optimize and generate more revenue for your Adwords Campaign. 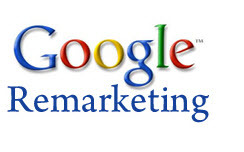 Having decided on the strategy we can create lists of remarketing. Although these campaigns usually have a higher CTR than other campaigns of the content network, it is important to note the end of the remarketing campaigns are campaigns display network, and therefore need a greater number of prints in the search network to generate enough clicks eventually convert.It is therefore important that the remarketing lists have a high number of users. If you do not know where to start doing remarketing, choose products that generate more traffic to your website to thereby have a large number of users in the lists of remarketing. Use a different messageRemarketing campaigns are aimed at users who have visited your website, what they are already relatively familiar with your product. Therefore, the message of the ads can not be the same as for users who are doing to reach your website first. Use messages like “Are you still interested?”, “Decide now,” “not wait” “You still have time.”Create targeted offers. In relation to the previous point, remarketing campaigns are a great opportunity to try to recapture users by offering customized discounts or offers. They could also create a sense of urgency if you keep the user for a limited period.Set a limit of impressions per userSurely many of us have felt like an advertisement we “chased” by the entire network after visiting a website. Therefore it is advisable to limit the number of daily impressions, especially when using ads that can get to marry the person. The maximum number depends on the strategy we want to follow, my experience tells me that around 2-3 a day is enough and always less than 5. We may limit the impressions from the tab at the campaign level settings. Combine text ads with ads. Then you will reach more users and show your ad on most pages of the content network without tiring both the user. Regarding the ads, make sure that creativity is the design of your page, so it is easy to remember your site and your product. Remarketing campaigns are effective but are not an infallible tool that works alone. What may work for one of your products may not work for others. Test different messages and offers, optimize campaigns and excluding any other networks that do not work and stronger bid for those that will provide better results, stop the ad formats that do not work.